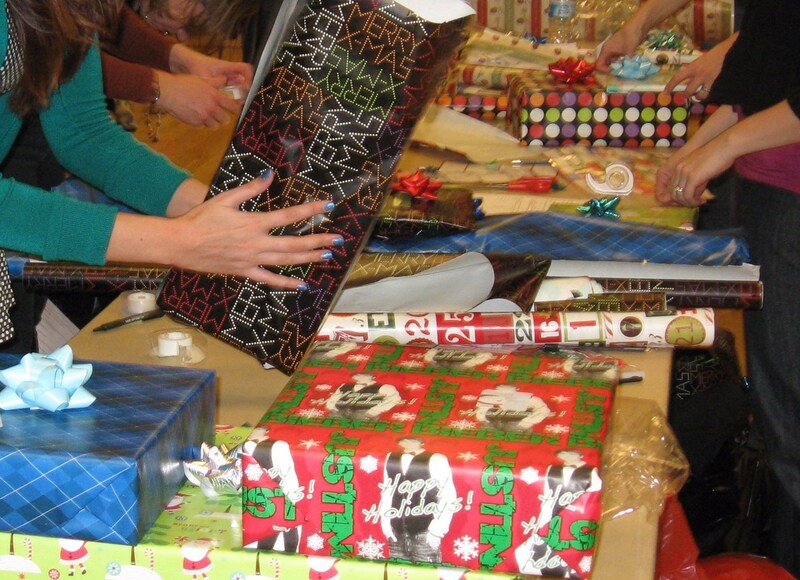 We need some volunteers to help wrapping gifts in Santa's Workshop. Because of the Snow Day on Friday, we will have a busy day tomorrow in Santa's Workshop. 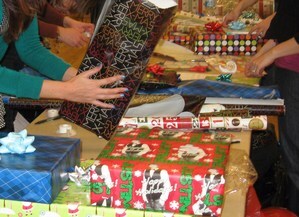 We need some volunteers to help wrapping gifts. If you have some time available, please email Mr. Webster pwebster@caldwellschools.org with your contact information and he will pass it to Kelly Harper, our Santa's Workshop coordinator. Please let us know what time you could be available. Even just an hour or two would probably be helpful. You will surely have a wonderful time. Tendremos un día muy ocupado mañana en el Taller de Santa. Necesitamos voluntarios para ayudar a envolver regalos. Si tiene algún tiempo disponible, envíe un correo electrónico al Sr. Webster pwebster@caldwellschools.org con su información de contacto y él lo pasará a Kelly Harper, nuestro coordinador del Taller de Santa. Por favor, háganos saber la hora que podría estar disponible. Incluso una hora o dos probablemente sería útil. Seguramente tendrá un tiempo maravilloso.